You are not really marketing if you are not measuring and analyzing. For that to happen, you need an SEO company that understands where your business is and where you want to go.  Authority Solutions™ will help you establish a Google Analytics Reporting to get well-reviewed choices about your marketing networks, your website with its content, as well as the products or services that you provide. Do you know how well your website is performing? Are you aware of what your best converting traffic sources are? Do you know which pages need improvement and which ones need immediate attention? These are very important things any marketer must know to improve your website sales or leads. You get great benefits when you establish Google Analytics Reporting on your website. What is Google Analytics Reporting? Google Analytics is the best free web analysis tool out there. It helps you understand the stats by breaking these down into much clearer details. With it, you can easily track your visitors on all of your key pages. It is both an essential and widely-used web analytics tool that any marketer should have. Instead of merely guessing how well your website and content is performing, Google Analytics equips you with key metrics and insights to help you improve your online presence. Results are measured by the volume of traffic that your website receives as well as the number of leads that you get like sales, sign ups or subscribers. However, establishing Google Analytics Reporting in your website can be very challenging. There are a lot of custom reports and standard reports that must be studied and interpreted to improve the search engine ranking of your website and to gain valuable insights about your market. When you engage Authority Solutions™, we will solve that problem for you. We can take off that burden from your shoulders so you can continue running your business. Overall performance and trends of your website. It tells you how many visitors have visited your site, viewed your page, and the conversion rate of these visitors for the past 30 days. Performance of your pages. You get an idea of the type of visitors your site gets, bounce rate, and conversion rate on every page of your website. Performance of your traffic sources – You can evaluate the performance of your SEO, paid search, social media, and email marketing so that you can make the necessary improvements on the traffic source that is not performing well. Great insights for improving your website. It will give you an opportunity to assess what pages are performing poorly and which pages to improve on first. And there is more! It is completely free to use. It is almost as good as other paid tools. It has a user-friendly interface that keeps improving each year. It does not slow down your website’s load time and easily integrates with other tools. Your landing pages are signals for analyzing Google organic search traffic because each of your landing pages has been created around a focus keyword, theme or product. Incoming keyword searches will generally relate to the focus of the page. We can see which organic searches on Google relate to which landing pages on your site. Content is usually created around a central theme. Our Analytics analysis experts will group your content based on your main theme using segments and study how each theme performs. Just as we create segment analysis based on landing pages, we will also create channel groupings for Multi-Channel Funnels and Attribution analysis. Our experts will identify your brand landing pages and group your pages according to brand and non-brand channel groupings. We then can see what roles your brand and non-brand channels play in initiating, assisting and completing sales and conversions. We can also compare the monetary value of these channels based on different attribution models. Authority Solutions™ uses Google Search Console to discover search queries that drive traffic to your site. Our experts need to know if the keyword you are using to be discovered by search engines is performing as expected. We will analyze every keyword used on every page of your website. This kind of analysis allows our experts to see what your users who visited your site through Google organic search are looking for once they get into your website. These queries are related to the searches they used to find your website. Traffic Acquisition Report. 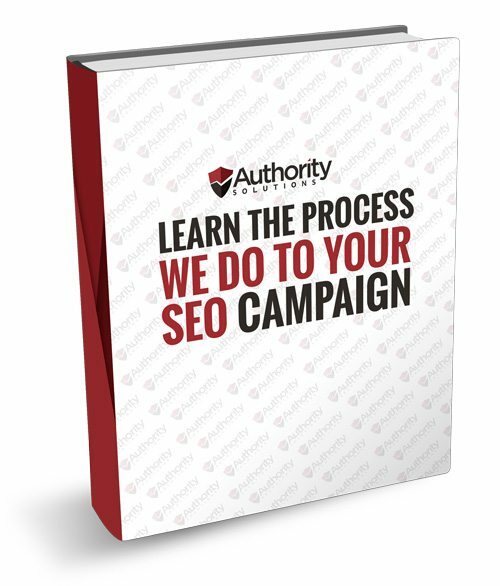 Authority Solutions™ will provide you with a report on how your SEO strategy is actually working. We will also let you know if your guest post is generating traffic to your website. We will even let you know how many people are actually clicking on your ads. Keyword Analysis Report. Authority Solutions™ will analyze the most popular keywords that will generate the greatest impact on your website. The report will show visitor metrics, conversion rates, goal completions, and page load time for every keyword. Landing Pages Report. This report will show your top most landing pages with a maximum bounce rate of 50 percent. This helps you understand where your website is at so that you will know how to optimize the less performing pages by improving headlines, graphics, call to action buttons and more. In-Page Analytics Report. This report will show which parts of the website are important for visitors. The in-page Analytics feature in Google Analytics Reporting helps you understand your visitor’s journey, behavior, and movement on your website. You can see visitor’s involvement on crucial links and give less emphasis to those that are less beneficial. Rearrange your navigation menu so you can concentrate on your major website goals. Mobile Performance Report. We are living in a modern mobile world. With this in mind, Google has recently implemented penalties on websites that are not mobile-friendly. The mobile performance report will show you how well your site is optimized for mobile devices and where you need to make improvements. It will also show which mobile device or browsers your customers are using to access your website. You can determine if your site is performing poorly on some devices. Bounce Rate vs. Exit Rate Report. This report compares the bounce rate vs. exit rate for different pages on your website. Bounce rate is the percentage of visitors who do not take any action and simply leave from the same page they landed on. Exit Rate measures the percentage of your visitors who browse more than one page of your website before leaving. Overall, marketers must be aware of the importance of Analytics Analysis in order to improve the performance of their websites and increase the return of investment. 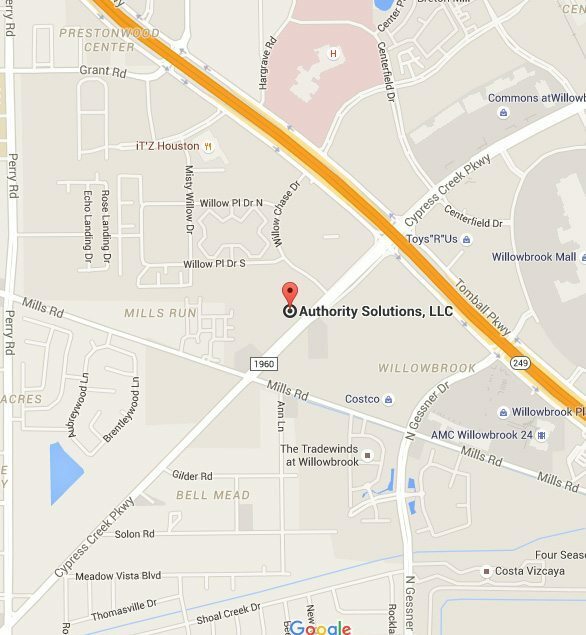 Please contact Authority Solutions™ today and get more information about Google Analytics Reporting. We will help set this up for you so that you can get well-reviewed choices about your marketing networks, your website with its content, as well as the products or services that you offer. We will make your business stay ahead of the competition and rank high in search engines. Contact us today at (888) 997-4146, and get the results that only a top SEO company can deliver.